Does your child (up to age 25) compete in a winter sport? We can provide sponsors to help ease the financial burden that training, competing and equipment can cause by setting up a personal sports fund. Our charity relies on sponsors and donations in order to help our winter sports athletes achieve their potential. If you’re interested in becoming a sponsor, click the button below. The Winter Sports Foundation was set up to help increase participation in all winter sports and make them available to as many people as possible, no matter what their background. Whether you’re an individual or a company, you can make a difference to the achievements of the UK’s upcoming winter sports people. The Personal Sports Fund is your way to raise additional funds to help finance your winter sports career. The funds are set up to help athletes who are already competing in winter sports by assisting them to seek sponsorship from various sources as well as utilising Gift Aid via our charity to increase the value of each sponsorship amount for the athlete. Becoming a sponsor means that you will be helping UK young athletes to train and compete in winter sports, and thus helping strengthen the UK’s position across winter sports competitions. Who knows, you may end up sponsoring the next Olympic Gold Medalist! 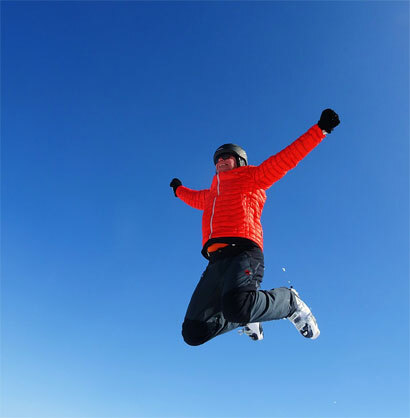 Membership of The Winter Sports Foundation is open to anyone competing in winter sports and their families. The Winter Sports Foundation, like all charities relies on charitable donations in order to carry on the good work and help fulfil our aims. In our eyes everybody should be able to take part in a sport of their choosing and this shouldn’t be constrained by the costs of that sport, unfortunately this is not the world we live in. We do this through Charitable donations and fundraising. We aim to help young gifted and talented individuals go further in their sport via access to top class coaching, injury Prevention & rehabilitation, nutrition, equipment and funding. We like to think the Winter Sports Foundation is a charity with a difference. It has been set up and is run by winter sports enthusiasts; people with world class knowledge in the areas of ﬁnance, sports nutrition, rehabilitation and coaching. Actively search for an individual to sponsor your child. This may be any individual that pays a standard rate of tax on their income that isn’t a family member of the athlete. Click these links to download BOTH our Personal Sports Fund Application Form and Gift Aid Form. Fill out both forms. You fill out The Personal Sports Fund form with yours and your child’s details. The sponsor of your child fills out the gift aid form which allows us to claim gift aid on the sponsored amount. Once the account is open, send in a sum of money to donated to the child’s sports fund. We will then apply to HMRC for gift aid to be claimed on the money. Enjoy knowing that your money can go a lot further in helping your child reach their true potential!